IBPS PO includes 23 banks including 19 national banks. IBPS PO is totally different from the SBI PO. SBI PO conducts a separate test for recruitment. In IBPS PO exam, there is preliminary Test. Candidates cracking preliminary test is allowed for main IBPS PO exam. Everyone preparing for the exam is uncertain about following questions. What is a Preliminary IBPS PO entrance exam pattern? How to prepare according to new IBPS PO exam pattern? 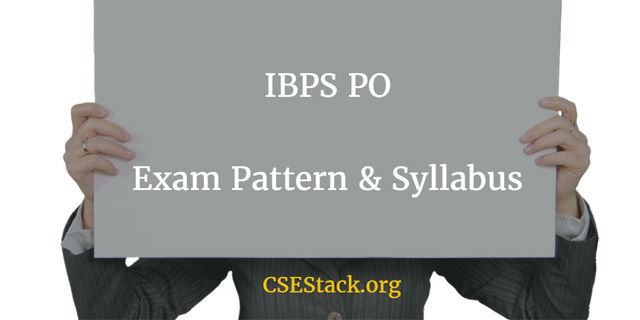 What is Syllabus for IBPS PO exam? I will discuss all these questions one by one. Here is a paper pattern for Preliminary Test. It is multiple choice question test. It includes total 100 questions which are distinguished in three sections as follows. To solve all these 100 questions, you have 60 minutes (1 hour) of time. If you crack this test, you will be eligible for main IBPS PO exam. There are 200 questions which are split into five sections. Each question carries one mark for the correct answer. 2 hrs time are allotted to solve all 200 questions. Following are the five sections of IBPS PO exam. #1 Quantitative Aptitude: There are total 50 questions in this section. Do refer Quantitative Aptitude by Arun Sharma for quantitative aptitude practice. Practice as much as you can. Time management is very important. #2 Reasoning: It includes 50 questions as well. For reasoning, you can refer book Verbal & Non-Verbal Reasoning by R. S. Aggarwal . It is considered as one of the very prominent book for reasoning by RS Aggarwal. #3 English: Total 40 question will be asked in English section. You should have good command on English grammar and vocabulary. #4 General awareness: You will be tested for 40 question. Be updated at least for last 4 months general knowledge. To intensify your general knowledge, capsules available at bankersadda.com. Do read daily. 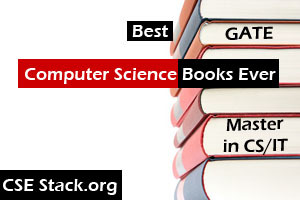 #5 Computer science: It includes total 20 questions. All these questions include basic computer science knowledge. Also, read 13 Best Aptitude Test Preparation Tips to crack any competitive exam. For any competitive examination, doing practice is a key. Solve as much as questions as you can. The more you practice, the more you become a confident and same time you will be conquering knowledge as well. Solve online quiz. With the online test series, you can compete with the other candidates all over the India. Shows all over ranking. It will tell you, where do you stand for your preparation. Previously you were able to manage your total time while solving any section. As per new updated IBPS PO exam pattern, there is fixed timing allotted for each section. Time places a crucial role in IBPS PO examination. In that case, it will be very helpful for you if you enrolled for online test series. Apply for it. Follow their schedule. And practice regularly. There will be negative marking. If you are doubtful for any of the question, take time and think about it wisely. Every wrong answer deducts mark from already earned. To know the best tricks, you can watch Youtube videos. Simply search “How to solve particular questions?”. Time management is very crucial. This is the experience shared by the Prashant Madankar. He has already selected as an officer in United Bank of India. If you have any question related to the preparation, material or new paper IBPS PO exam pattern, feel free to write in comment section below. He will answer as soon as possible. Thanks for the very informative blog,I found it very useful.